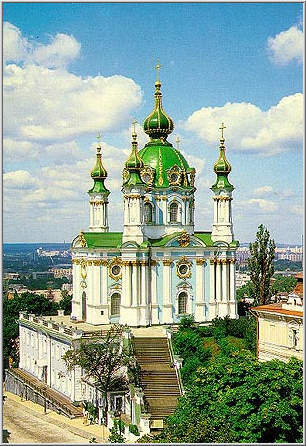 Andriyivska Church is situated at the top of Andriyivskyj Uzviz -- one of the most popular places in Kyiv. It was initially designed in 1754 by well known Italian architect Bartolomeo Rastrelli and builded by russian architect Ivanov. It is one of the few ancient buildings in Kyiv which survived without any serious damage or reconstruction during it's long history. Another image of the same church. Image of Andriivskyj Uzviz. On the background - Andriivska Church. 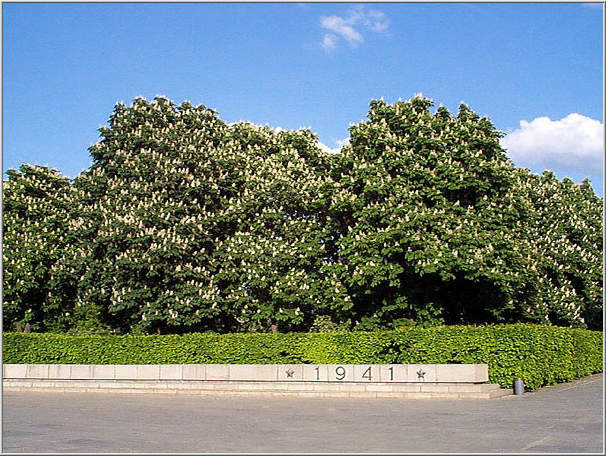 Kyiv is always associated with chestnuts. And it's true. There are really lots of them around the city. In the middle of May they are especially beatiful. 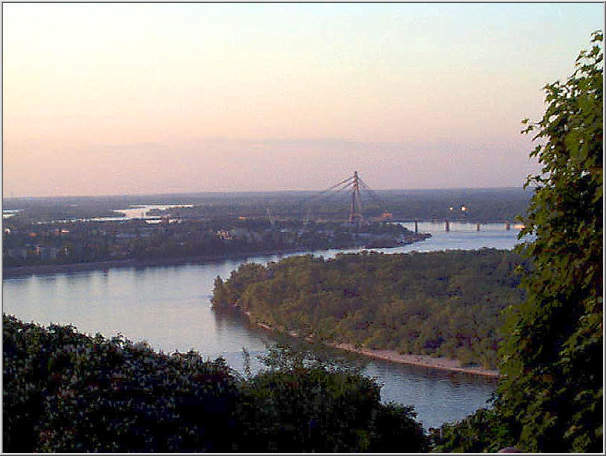 Dnipro River. On the background is the Moscow Bridge. The entire lenth of this hanging bridge is over 2 km. At the moment of construction it was the longest hanging brige in the world and now it still remains the longest in Europe. Cyrill and Methodius (right) were two Greek monks who invented the Cyrillic alphabet and did a lot for illumination of ancient Kyivan Rus. St.Andrew was also a famous illuminator of ancient Kyivan Rus. 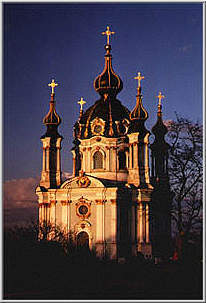 The monument to Cyrill, Methodius, St. Andrew and Princess Olga (not visible here) was initially built in XIX century. In 1920s it was stolen by the communists and for a long time was considered to be lost. But in 1995 during the reconstruction of the Mykhailivska Ploscha (square) it was discovered buried under the road. 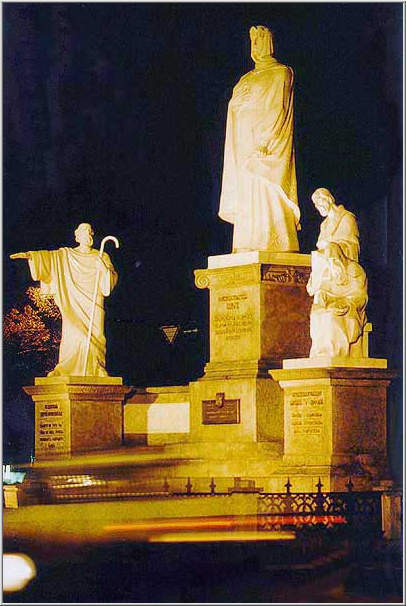 Monument to the legendary founders of Kyiv. 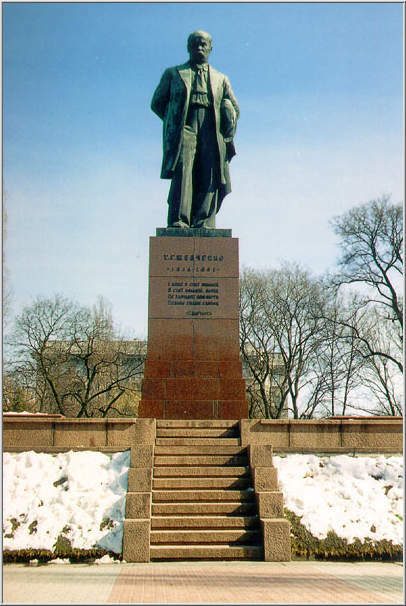 The monument was unveiled in 1982 at the foot of Pechersky plateau on the bank of the Dnipro. 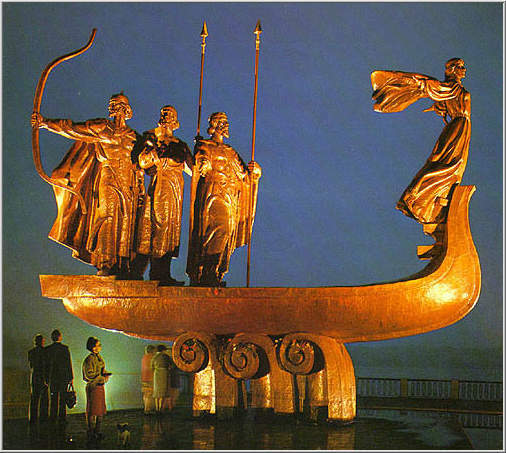 It depicts the legendary founders of Kyiv -- the brothers Kyj, Schek and Khoryv and their sister Lybid. The sculpture is a boat with the three brothers standing in the stern, two are holding spears and Kyj holds a large bow. Lybid stands tall and strong in the bow, the wind is gracefully liftingher cloak. 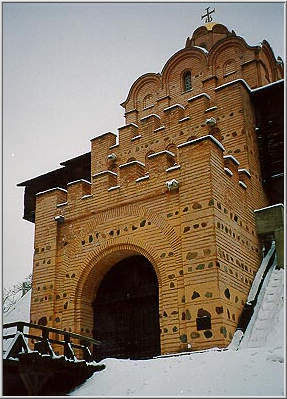 Zoloti Vorota were the gates leading into ancient Kyiv. 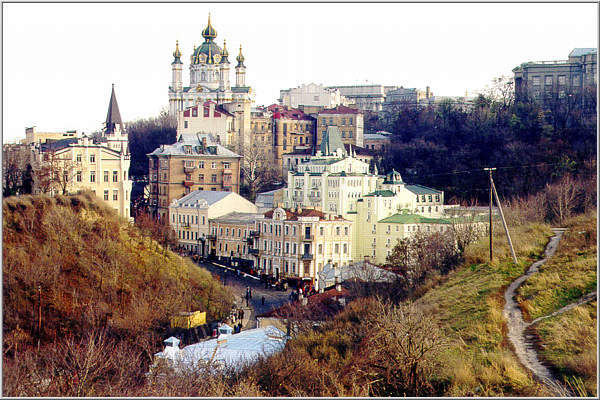 No enemy of Kyivan Rus had ever destroyed the gates, it was the strongest fortress in Kyiv. Later on it was destroyed and rebuilt again in 1984. 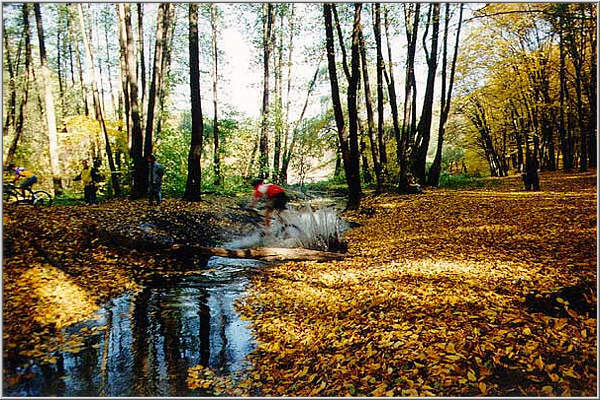 Golosiiv (Holosiyiv) Forest is a Kyivites' beloved recreation area. There is also the downhill ski elevator there. It is also the place where different sports competitions, like mountain biking or downhill skiing, take place.